A friend of a friend was leasing a photocopier which reached it's "end-of-term". The copier still worked fine but the company doing the leasing had written it's value down to zero. So they didn't want it any more. They wanted to give my friend a new machine. And they wanted the old machine destroyed. It can't be allowed to slip into the hands of someone who might actually use it. So my friend was told he could either have it taken away to be crushed, or he could dismantle it himself. That's the point where I got involved. I came away with three nice geared DC motors and a LED strip. There was a lot more there but I couldn't justify storing it in my over-crammed garage. And anyway - I only had a plan for the motors... to make a very simple robot arm with/for Adam. 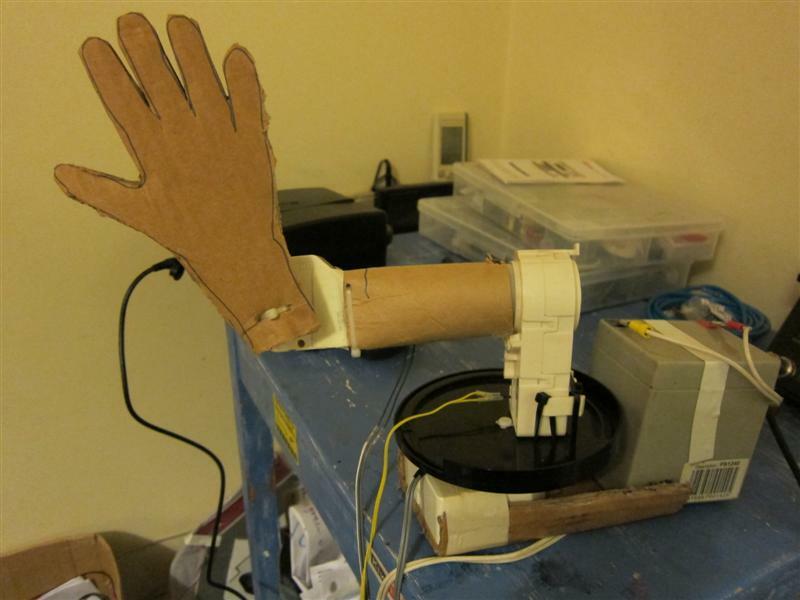 (Inspired by Ken Ihara's cardboard robot arm project). The plan is to rebuild the cardboard limb once of got more of it working. I'm using plain DC motors controlled by just a simple 12V battery and some switches. No stepper motors and controllers, no Arduino, no software. Just plain hardware a child of six can understand. Note: the hand is an outline of Adams hand. After I wired this up I realised I didn't need three pairs of battery wires coming into the controller. 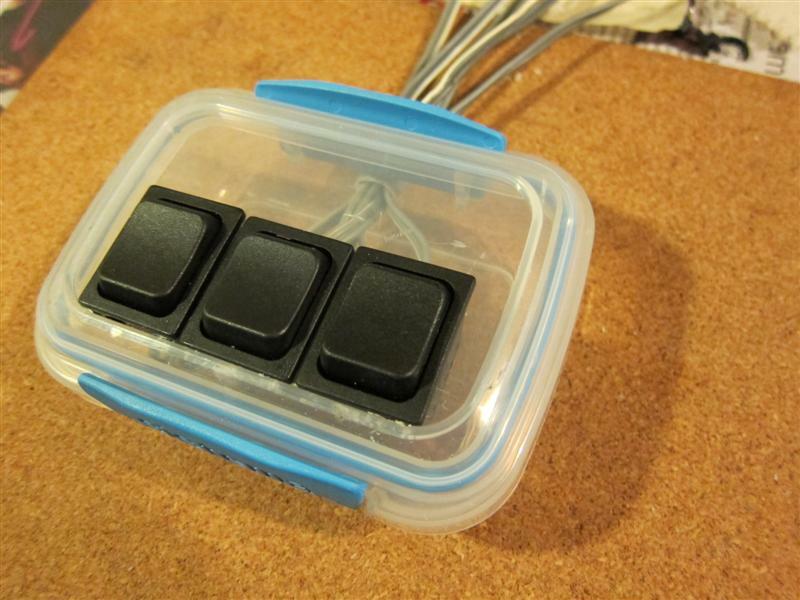 So it now has just one pair of wires from the battery which gets feed to the three switches inside the box. Last night I added a voltmeter to it (because 7-segment LED displays are cool and ridiculously cheap). replace wires from controller box to arm with an 8 wire ethernet cable (not to run ethernet but just because ethernet has 8 wires in a single cord) - much tidier, and longer.